Christopher Gene Soape, age 54, of McKinney, Texas, passed away April 26, 2015. Chris was born November 9, 1960, in Houston, Texas, to Robert and Jerry Lynn (Prince) Soape. He graduated from Permian High School in Odessa, Texas in 1979 where he was captain of the football team. 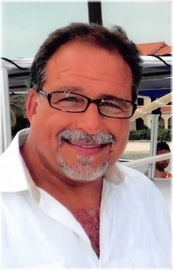 Chris owned several used car dealerships including Chris Soape Auto Sales and Chief Motor Company. He later moved to Austin, Texas to work for Covert Ford. Chris founded U. S. Temp Tag LLC in 2006. He married Kasey Davis on January 11, 2011, in McKinney. Chris loved his work and his family. He was a true entrepreneur and enjoyed cooking and creating his own recipes. Chris was a member of Crosspoint Church in McKinney, Texas. He is survived by his wife, Kasey Soape of McKinney, Texas; children, Jennifer Soape, Katy Martinez and husband, Art, and Thomas Soape, all of Austin, Texas, Lance Corporal Harrison Soape and wife, Dana of Miramar, California, Cody Cortez of Odessa, Texas, Kalli Cortez and Lee Autrey of Austin, Texas, and Brien Gulsvig of McKinney, Texas; grandchildren, Jaxen Martinez, Cori Martinez, and Charles Martinez, all of Austin, Texas; mother, Jerry Lynn Soape of Tyler, Texas; brother, Steve Soape and wife, Maliah, also of Tyler; and many lifelong friends. He was preceded in death by his father, Robert Soape. A funeral service will be held at 10:00 a.m., Thursday, April 30, 2015, at Turrentine-Jackson-Morrow Chapel in Allen, Texas. Interment will follow at Ridgeview Memorial Park in Allen. The family will receive friends during a visitation from 6:00 to 8:00 p.m., Wednesday evening at the funeral home.